‘Rava Appam’ is a yummy snack which my Mom used to make. 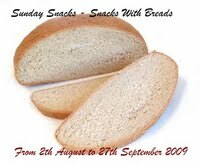 It is a family favorite and I make it whenever there is leftover bread at home. Kids will love this soft and nutritious snack! Beat the eggs well and add sugar, milk, rava and salt. Mix well and add the bread cubes, bananas, vanilla essence and butter. Fold in so that the bread is well soaked and mixed with the batter. The batter should be of pancake or dosa consistency. Pour into greased plates and garnish with raisins. Steam cook for about 15 minutes or until a skewer inserted comes out clean. Cut into desired shape and serve warm. Enjoy it with your family!!! You can substitute milk with 1 cup of ground coconut paste which will make the Appam much more softer. 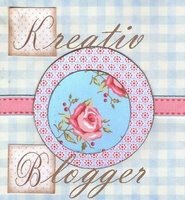 EC from simpleindianfood passed me this Kreativ Blogger Award…Thank you EC for choosing me for the Award! 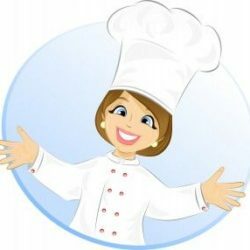 Thank you so much all my blogger friends who encourage me with their lovely comments and also my silent admirers who visit my blog and experiment with my recipes! Congrats on ur award dear. Surprised to know about ur social service. U inspire me a lot. I feel proud of u. u are a gem. 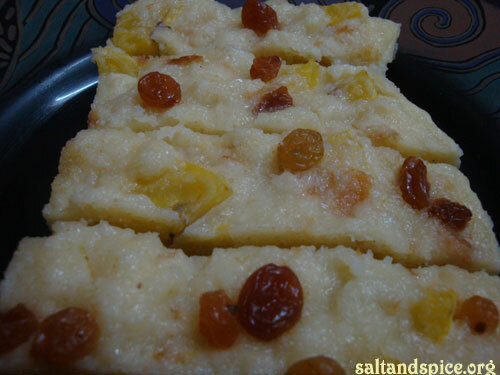 lot to learn from u.
Rava appam seems a very delicious dessert, bookmarking it. Rava appam is new to me.. :)! Thanks a lot Vicky! I feel humbled and flattered…I am just an instrument in the hands of my Lord!!! Wow Lissie wat a delicious appam, never tried these sort of delicious dish!! thanks a lot for sending to Sunday Snacks event…Congrats on ur award and am honoured to get this award from u yaar!! 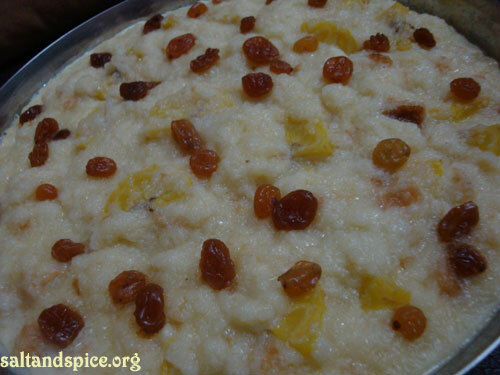 This recipe looks like such a tasty delight to eat especially with all of those raisins yum. Appam looks delicious… so inviting!!! Pooja, now you can try this recipe and enjoy your Mom’s Appam 🙂 Thanks! Thank you Superchef! plz make the Appam and let me know about the outcome…! Pravs, glad to see you after a long time… 🙂 Thanks! Thank you Anu for your kind words! Welcome to my blog, Lubna! glad to hear that you too are from Bangalore… 🙂 Do visit often… Thanks! Sangi, so sweet of you to be concerned about me…! :)Thanks a lot for the love you show to me! May God Bless you! Thank you dearest Lissie. Sending you lots of love and hugs. Hugs from me too…thank you Cynthia! your recipes are really delicious..keep it up!! I came across your link on Tuesday, checked the keerai parippu kootu and Pepper chicken recipes. The photos looked very tempting, I was at work and couldn’t wait to reach home and try it out. Both came out well. My hubby likes that kind of dal, they serve the same one with Nandini meals. Since I reached home and then prepared, got a little late so had to remove the pepper chicken after adding pepper in a min’s time. The pepper tasted slightly raw but otherwise both came out really well. My father in law liked too 🙂 I would be making both of these regularly. I was going through this recipe and I don’t know how to steam cook the rava appam in pressure cooker, can I cook it in microwave? If yes could you please guide me? Thanks a lot for trying my recipes and letting me know about the outcome! Please note that any curry or subzi preparation should be allowed to simmer or fried for some time before switching off the flame. Usually the oil will separate from the sabzi or oil will start floating on top of the curry. Only then it will taste the best. For steaming Rava Appam, pour water into the pressure cooker and place a flat bottom vessel upside down. Place the plate on top of it and steam cook. Stainless steel steam cooking vessels come along with idli stands. I use one of those. You can use a microwavable dish to cook Rava Appam. Smear some butter on the dish and pour the batter into it. Microwave on high for 4 to 5 minutes or until a skewer inserted comes out clean. Please try my other recipes too…and do not hesitate to contact me if you have any doubts.